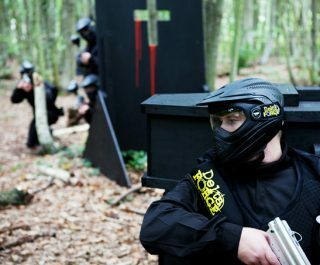 For those looking for intense paintball action in the East London and Essex areas (including Romsey, Abridge, Ilford, Romford and Enfield), the Delta Force Upminster paintball centre is the only Delta Force Paintball centre accessible via the London Underground (being just within walking distance of Upminster District Line Underground Station). 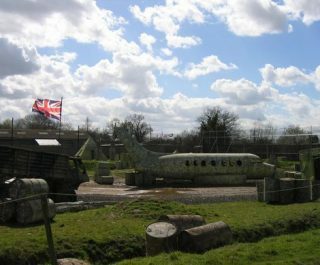 This venue is regarded as one of the best in the country, offering amazing facilities and game zones, including a jet aeroplane, no less than 4 double-decker buses, armoured vehicles, forts, jungle environments and much more. With six massive battle arenas, there are plenty of action-packed scenarios and missions for you to try and conquer. Delta Force Paintball in Upminster is one of the only paintball centres to be located within the M25 – so for paintballing in London this is your most convenient choice!